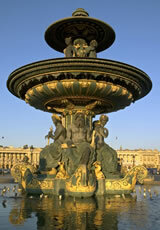 Learn about Paris culture, art and history while keeping your young family entertained by booking a kid-friendly tour. From a list of dozens, we picked our favorite "kid-tested" tours and activities. Paris Muse Clues guides kids through an interactive treasure hunt in the Louvre Museum. Walking through the Louvre's collections, children play "I Spy" searching for clues hidden in the artwork to find a buried treasure. Your Paris Muse guide discusses the history of each Louvre masterpiece in a kid-friendly and entertaining manner. Children answer questions to find the clue. The hunt ends in a frantic search for an educational prize underneath the Louvre's glass pyramid. 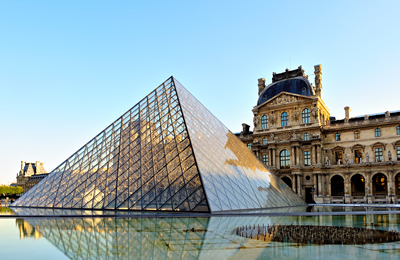 Use your clues to search for treasure underneath the Louvre pyramid. Details: Paris Muse, 2 hour tour. Ages 6-12. Price 290€ for a family of five. Includes adult admission to the Louvre. Child admission is free. Your teen will be the envy of her friends when she returns from Paris with the latest fashions. Spend three hours visiting the Parisian teenagers favorite stores for the latest French brands and accessories. 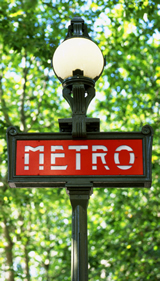 Along the way, learn fashion tips on how Parisians look ultra-chic on a teenager's budget. Your guide is a fashion strategic planner who will help your daughter try on clothes (in some cases, outside her comfort zone) to find a perfectly Parisian outfit. 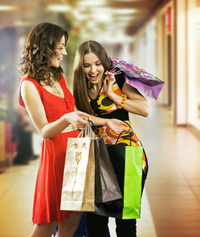 You'll explore a mixture of boutiques and department stores in a variety of price ranges. Mom's are welcome to tag along. 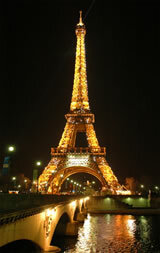 Bond with your teenage daughter while shopping for the latest Paris fashions on a Viator tour. Details: Viator Tours, $159 per person. Three hour tour. 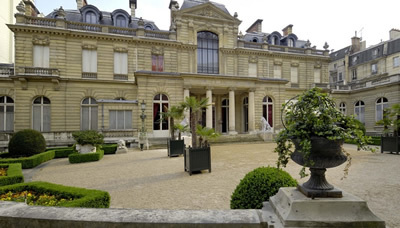 The Jaquemart- Andre Museum is a stunning, 19th century mansion donated to the city of Paris by a wealthy, art-loving couple. The lavish rooms include masterpieces by Rembrandt and Botticello, and room decor is as impressive as the collections. Looking at the photo below, you'll be surprised to learn that this lavish museum hosts one of the best, free museum tours in Paris for kids. Surprisingly, the elegant Jaquemart- Andre Museum hosts the best free museum tour for kids in Paris. In July and August, from 2:30 to 5:30 daily, explore the Jaquemart-Andre Museum with your young child. The museum provides you with a book of games and kid's guide to the museum for children ages 4-6 and ages 7-12. After your tour, stop by the "Family Fun Programme" area for your child to play, paint, create a craft and dress-up in adorable period costumes. Bring home a unique souvenir by photographing your child as a French Marquis or a page to the royal court. After a few days of family time, kids miss being with other kids. 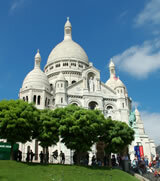 Combine learning with socializing on a Paris Kid Tour. Unlike most tours, which are private, Paris Kid puts together children, ages 6-12, in groups of 5 or 6 children. The tours are child-only with a bilingual tour guide that specializes in working with children. 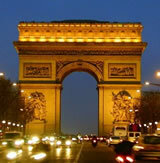 Choose from over a dozen themes and museums including Napoleon, Louvre, Notre Dame and Middle Ages (Moyen Age). The 2-3 hour tours include an educational and playful tour of museum or monument, then time to play or make a craft. 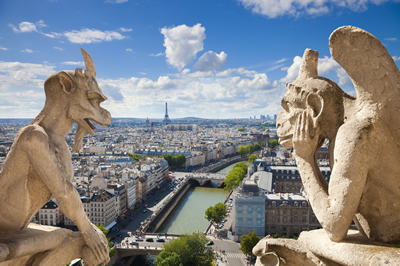 On the Paris Kid tour, your child climbs the Notre Dame Cathedral Bell Tower for a gargoyle's view of Paris. Details: Paris Kid, Daily, 20e per child. On the Mysteries of Paris Ghost Tour, your family walks through Paris learning about famous Paris sites while listening to spine- tingling ghost stories. Harry Potter fans are enchanted by visiting the ancient residence of Nicolas Flamel, the alchemist who invented the Sorcerer's Stone. Fans of the Phantom of the Opera have the chills visiting the theater that inspired the story. And, no ghost tour is complete without a walk at night through some of Paris' haunted graveyards. 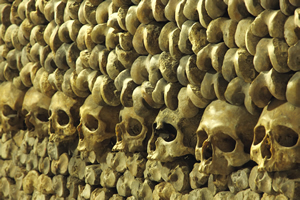 You'll visit the spooky cemeteries in the dark that originally housed the Catacombs skulls and bones. 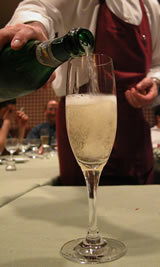 Introduce your child to kid-friendly French cuisine at the Ritz Cooking School in the famous Hotel Ritz Paris. Designed for children 6 -11 years old, your child dresses in "chef's whites" while learning from an expert French chef how to prepare simple French dishes, such as chocolate tarts, strawberries charlotte, and citrus madeleines. Classes are translated into English. Book ahead, classes fill-up months ahead of time. 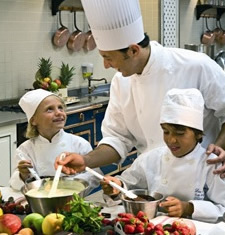 Dressed in white mini-chef uniforms, children learn how to cook classic French desserts at the Ritz cooking school.